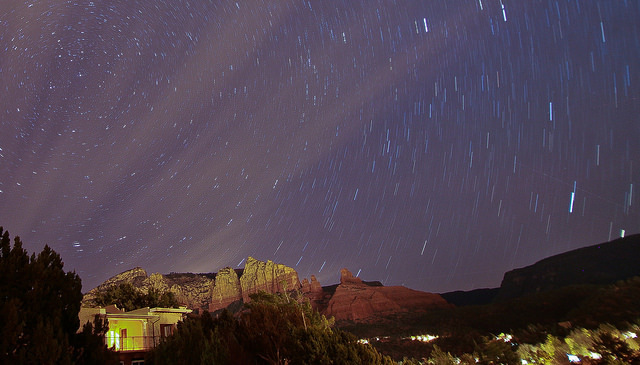 We made the road trip to Sedona over the holidays, and I wanted to see what kind of stars (astrophotography) I could get with my new camera (Canon 5d3). 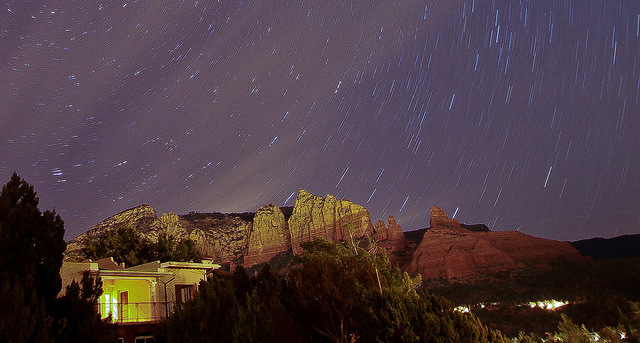 Sedona and Northern Arizona are known for minimal light pollution, so I thought it might be a worthwhile endeavor. I picked a really lovely evening on the deck at my parents’ house. I did several shots of different exposures and times, and one came out great (I thought). Really, I had a number of good ones, but this one really made me happy!